Emotional Schema Therapy: Distinctive Features offers a concise overview to what is distinctive about this new approach to helping clients cope with "difficult" emotions. Written by a researcher with many years of clinical experience, it provides an accessible, bitesize overview. 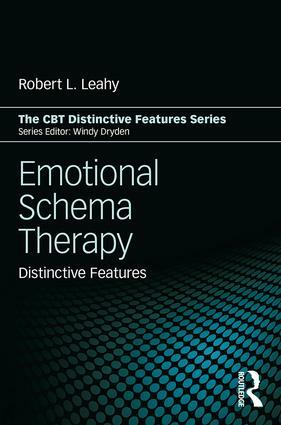 Using the popular Distinctive Features format, this book　describes 15 theoretical features and 15 practical techniques of Emotional Schema Therapy. Emotional Schema Therapy will be a valuable source that is written for psychotherapists, clinical, health and counselling psychologists, counsellors, psychiatrists, and all who wish to know more about the role of emotions and emotion regulation.